These presentation slides 49163 are complete compatible with Google Slides. Simple download PPTX and open the template in Google Slides. Meet this amazingly delicate template designed in pleasant color solutions with nice flat designed items. 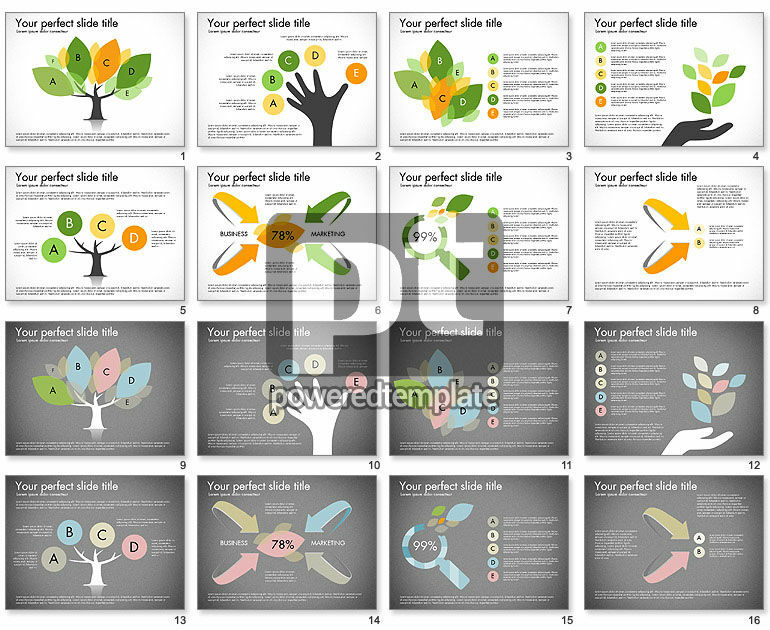 Options and Stages with Leaves template will work great, just pick it to illustrate stages of green projects, eco friendly solutions, plans evaluation, essential components of a successful venture, business strategies, marketing campaigns, step by step actions, setting goals and priorities.